A professional junk removal service removes any unwanted “junk” from your property. For instance, of the different types of junk removal, you might use this service when remodeling or after demolitions. Find a reputable service listing pricing upfront to ensure your items are acceptable. However, it’s important to know that hazardous waste items like pesticides, wet paint, and cleaners like bleach may not be accepted. Some junk removal businesses offer demolition services as well as junk hauling, but it’s important to research (as not all do). What should you expect of your junk removal service? The idea of a junk removal service is that you don’t have to do anything; a professional group should provide all labor, arrive on time, do the job efficiently, and properly dispose of your items. A junk removal service should provide pricing up front, with a no-obligation quote. Most junk removal services have customers pay based upon the space items take up in the truck. For most commercial haulers, household hazardous materials are not accepted. This includes items like paint, motor oil and antifreeze. How are donations and recyclables handled? Different companies handle donations and recyclables differently. Generally, items are loaded into the truck so that they are more accessible for drop-off at a donation center or for recycling. Most people seeking a junk removal service want to have it completed within four days (at the latest), which is why we offer same or next day booking, but are also accommodating to scheduling into the future. Why choose a junk removal service? An alternative to junk removal would be a do-it-yourself (DIY) job. However, other types of junk removal would require renting a trailer or dumpster, moving your items by yourself (or finding a friend to help), and determining the proper location for disposal which could take several trips. Dumpster rentals are more price effective for larger jobs, but have fees attached, like delivery for drop-off and pick-up, which can vary in cost. On the other hand, hiring a junk removal service ensures injury or property damage won’t occur (like with a DIY job). We can do in forty-five minutes what would take you half a day. What are the signs of a professional junk hauling business? When you research the options you have for junk removal, choosing a professional company will save you money in the long run. It’s better to pay a little bit more for professionalism rather than end up paying because your junk removal provider damages your property or is unreliable. What is a recycling plant? Simply, a recycling plant is a type of junk removal service that collects and sorts through materials for recycling; attaching a recycling plant to a landfill streamlines the waste management process, but not all are set up this way. Since these plants receive items from multiple sources, including residential waste services, it makes it more efficient to dispose of non-recyclables that were improperly sorted. Like many types of junk removal, types of goods that are handled vary from region to region, and depends on the plant’s capacity. 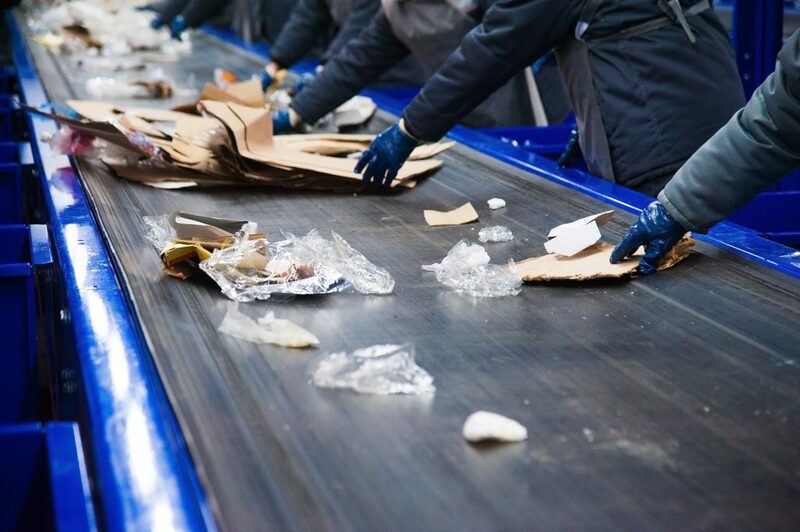 After delivery to a plant, recyclables are brought onto a conveyor and sorted through, dividing materials by type. Cleaning will have occurred to prepare for the recycling process. Recyclables will have been compressed into large squares, similar to hay bales, before they are sold and will ship to facilities making items from recycled goods. In order to know what is accepted and what they have in excess, contact your local recycling facility. Recycled bales will be bought to make other plastic containers, like PET (polyethylene terephthalate) bottles. 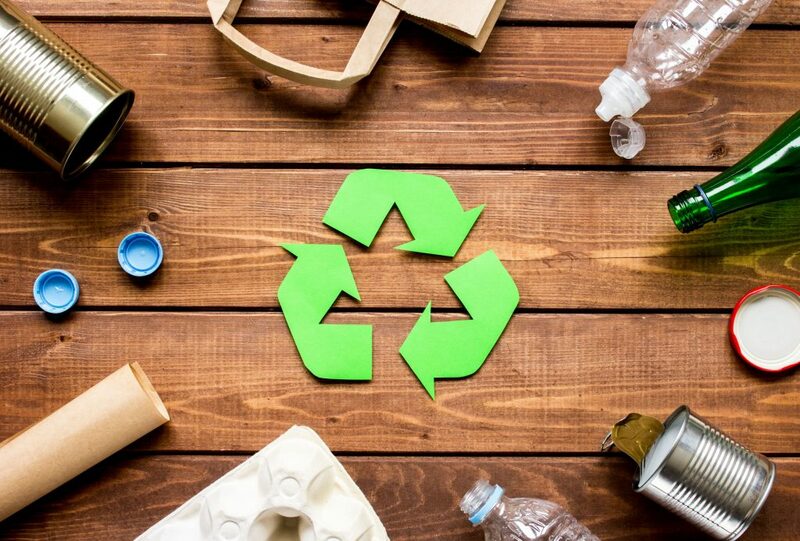 For example, some brands use as much as 100% recycled content in their PET bottles, which cuts down on the amount of plastics being generated. Municipal Solid Waste (MSW) landfills accept and receive non-hazardous household waste, although they often have a waste drop-off station for hazardous household items. A bioreactor is a MSW landfill which adds liquids to break down bacteria within the waste. Unlike other types of landfills, they speed up the rate of breakdown which allows for nearly 15-30% extra landfill space. Industrial Waste landfills are non-hazardous waste collection facilities, accepting materials like construction debris. Construction and Demolition (C&D) landfills receive debris from construction and demolition sites that are non-hazardous. As the name suggests, Coal Combustion Residual (CCR) landfills receive coal ash. Extensive research on the impact of coal ash on the environment and public health was published by the EPA in 2015. 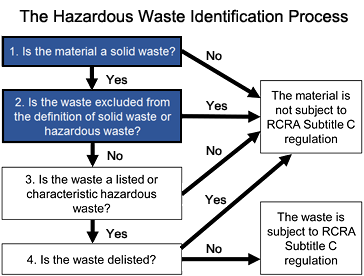 This includes a complete set of requirements for safe disposal of these materials. Hazardous waste facilities treat, store, and dispose of hazardous waste. What is a common misconception about how landfills operate? A common misconception is that all landfills take ALL types of waste. This is not the case. There are several different types of landfills in each county/state. For example, Shotwell Landfill is a Construction and Demolition landfill (C&D) and can only accept materials that come from construction type jobs. We do not accept household or hazardous waste. How have landfill operations shifted over time? Are there any considerations or regulations that have been added within the past couple of years? 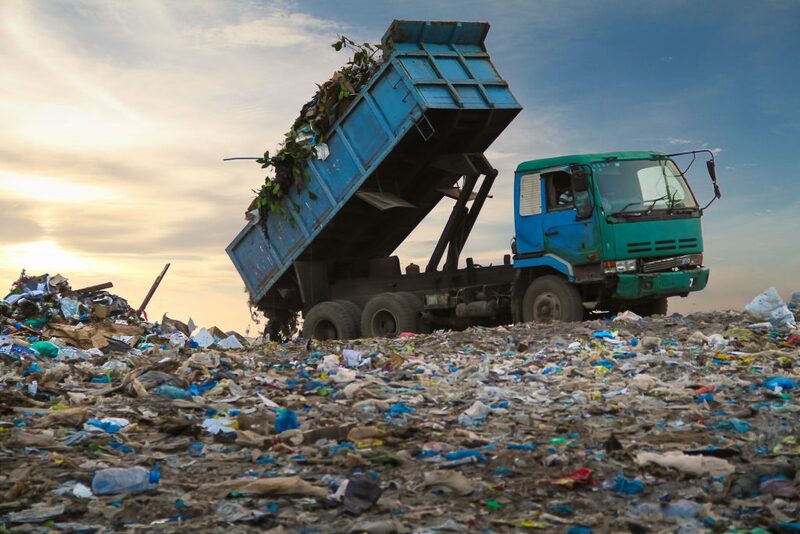 Over the years, landfill regulations have and are continuing to constantly change along with the ever-changing environmental regulations. Most landfills are regulated by both state and local governments and must maintain strict compliance with both agencies rules and regulations. What would you advise someone to do before planning a trip to a nearby landfill? Check your local county website or call to identify landfills and convenience centers nearby to determine location, pricing for disposal, and what types of waste are accepted. Unlike other types of junk removal, municipal waste services offer regularly scheduled waste disposal services to communities. On specified days, trash and recycling pick-up will have occurred. These providers will recycle and reuse items; anything left will ship to a landfill. Many local communities partner or contract with private collection companies to provide trash and recycling pick-up to these areas. Donation Centers are public facilities that accept new and gently used items, like furniture, appliances, and other household wares. Some donation centers allow for clothing donations as well! Items are for sale at a discounted rate after processing. To clarify any questions you have about what items your local donation centers accepts, look for a list of donation guidelines on their website. A benefit of making a charitable donation is that it could be written-off on your taxes. This is one of the few types of junk removal that offers a tax-incentive. There are a few steps you should follow to make sure that you are correctly filing these donations. Failure to do so could mean that you will not receive your tax benefit. However, not all organizations are tax-exempt. So, call the Internal Revenue Service (IRS) at 1.877.829.5500 to access this information. The IRS Tax Exempt Organization Search tool is a great resource as well. Above all, get a receipt, even for cash donations. The information included on your receipt should have the amount donated, the organization, and the date of donation. Publication 561 from the IRS helps to determine the value of donated property. This includes all donations other than cash. Selecting a tax filing service could save you time and money by helping to value your items. They work by gathering pricing information from auction websites and thrift stores, as well as manually. Which types of junk removal are right for you? In short, if it’s recyclables, books, or home décor, municipal waste services or a donation center might be your best bet! However, if you don’t have a local waste service provider, locate nearby landfills and recycling plants. Certainly opt to make it a community effort and pile together your items or carpool to these facilities. Additionally, to save time and prevent damage to your things or personal injury, research reputable junk removal services. Whatever your junk disposal needs, we hope you find your perfect option.